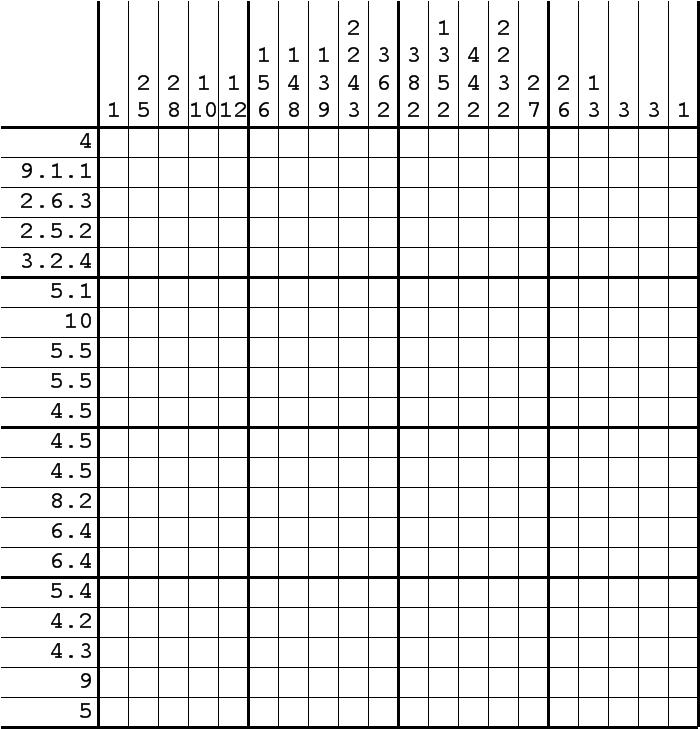 It’s been a while since I last posted a Nonograms (aka Picross aka Hanjie aka Griddlers) puzzle, so here is a new one. This entry was posted in Free sample puzzles, Picross and tagged BOOK, griddlers, hanjie, HARD, nonograms, pic-a-pix, Picross. Bookmark the permalink. Post a comment or leave a trackback: Trackback URL. Ok, it was an interesting challenge and killed a couple of hours, and I ended up with the same image as the published solution, but WHAT IS IT? Is it supposed to be a chili pepper..?